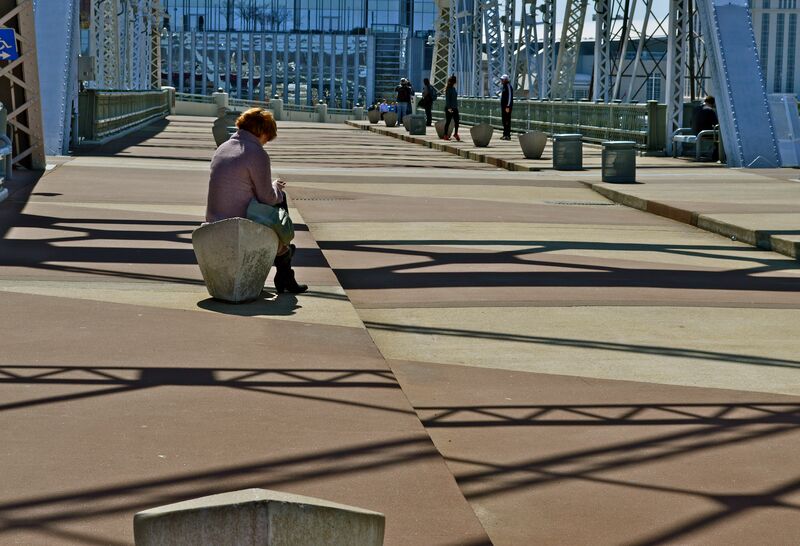 Messages on the Bridge: The spring weather brought lots of people out on the street to walk over the pedestrian bridge this week end. 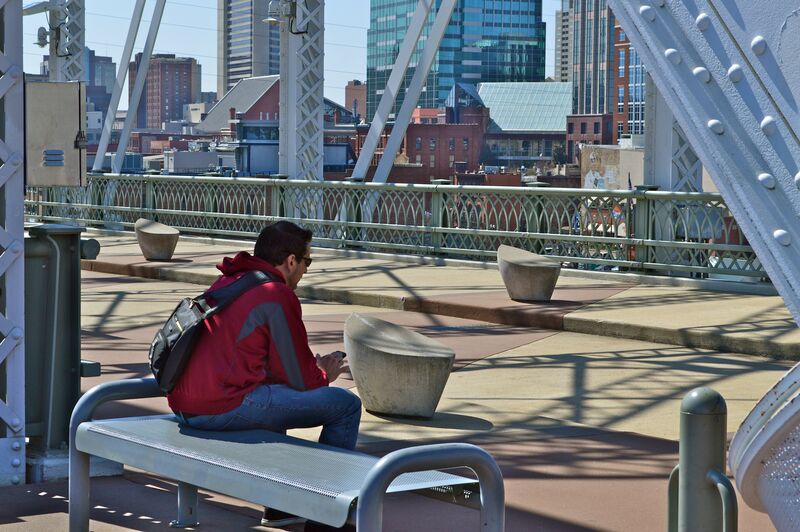 Instead of enjoying the views though, these folks spent the time checking phone messages. 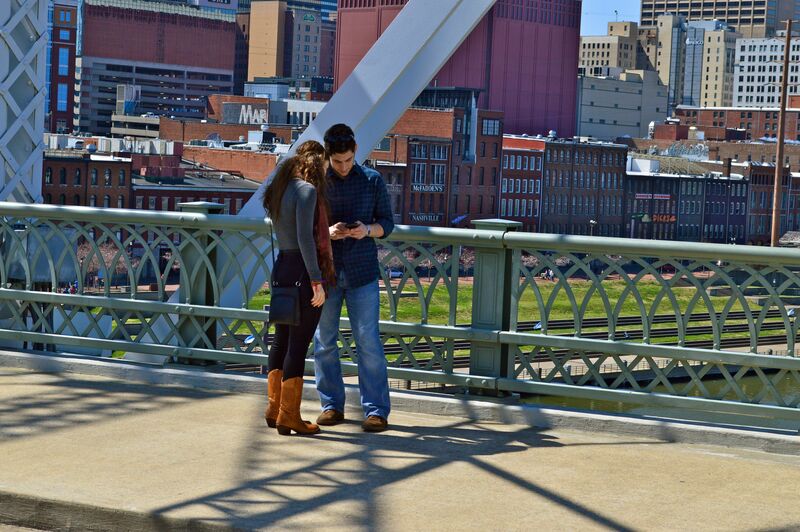 Still checking messages outside on the bridge is better than staying in and checking messages. Street Life on the bridge was brisk this week end. So sad. No one looks up anymore. Yes! They are missing so much. That’s a good point. I think I might have taken a nap.